SAN DIEGO, CA (February 14, 2018) – (RealEstateRama) — The Mortgage Bankers Association (MBA) today released its year-end ranking of commercial and multifamily mortgage servicers’ volumes as of December 31, 2017. At the top of the list of firms is Wells Fargo Bank NA with $633.0 billion in master and primary servicing, followed by PNC Real Estate/Midland Loan Services with $566.9 billion, KeyBank National Association with $214.8 billion, Berkadia Commercial Mortgage LLC with $205.9 billion, and CBRE Loan Services with $164.5 billion. Among servicers with retained or purchased servicing of U.S. mortgaged, income-producing properties, Wells Fargo, PNC/Midland and KeyBank are the largest primary and master servicers for CMBS, CDO or other ABS loans; Berkadia and Grandbridge Real Estate Capital are the largest primary and master servicers for commercial bank and savings institution loans; Cohen Financial/SunTrust Bank is the largest for credit company, pension funds, REITs, and investment fund loans; Wells Fargo, Walker & Dunlop, and Berkadia are the largest for Fannie Mae loans; Wells Fargo and KeyBank are the largest for Freddie Mac loans; Walker & Dunlop and Red Mortgage Capital, LLC are the largest for FHA & Ginnie Mae loans; HFF, LP, NorthMarq Capital, and CBRE for life insurance company loans; Wells Fargo for loans held in warehouse. PNC and Wells Fargo are the largest named special servicers. PNC and Berkadia are the top fee-for-service primary and master servicers of U.S. mortgaged, income producing properties; Capital One Financial Corp and Wells Fargo rank as the top master and primary servicers of other types of commercial real estate related assets located in the United States; and Situs and CBRE are the top primary and master servicers of non-US CRE-related assets. A primary servicer is generally responsible for collecting loan payments from borrowers, performing property inspections and other property-related activities. A master servicer is typically responsible for collecting cash and data from primary servicers and then providing that cash and data, through trustees, to investors. Unless otherwise noted, MBA tabulations that combine different roles do not double-count loans for which a single servicer performs multiple roles. The tabulations can and do double-count across servicers loans for which multiple servicers each fulfill a role. 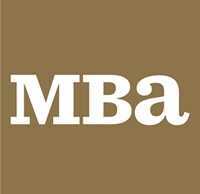 The report includes a ranking of more than 100 master and primary servicers, and is available on MBA’s website.